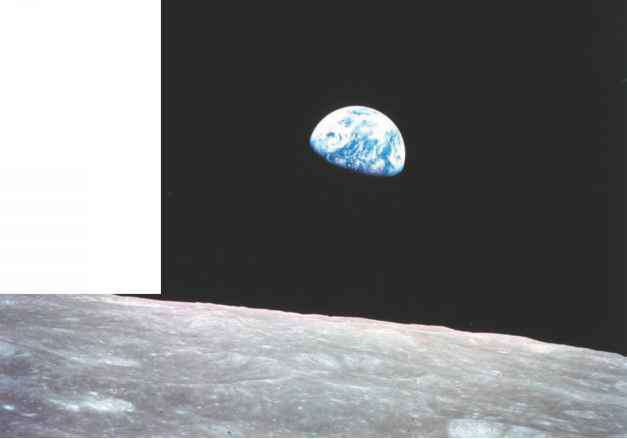 This view of the rising Earth greeted the Apollo 8 astronauts as they came out from behind the Moon. 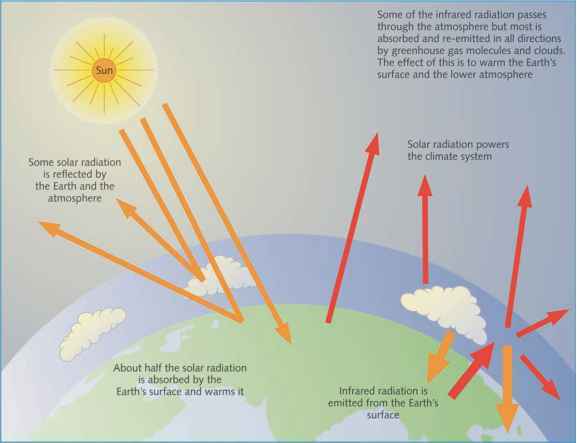 THE BASIC principle of global warming can be understood by considering the radiation energy from the Sun that warms the Earth's surface and the thermal radiation from the Earth and the atmosphere that is radiated out to space. On average these two radiation streams must balance. If the balance is disturbed (for instance by an increase in atmospheric carbon dioxide) it can be restored by an increase in the Earth's surface temperature. To explain the processes that warm the Earth and its atmosphere, I will begin with a very simplified Earth. Suppose we could, all of a sudden, remove from the atmosphere all the clouds, the water vapour, the carbon dioxide and all the other minor gases and the dust, leaving an atmosphere of nitrogen and oxygen only. Everything else remains the same. 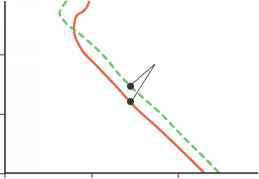 What, under these conditions, would happen to the atmospheric temperature? The calculation is an easy one, involving a relatively simple radiation balance. Radiant energy from the Sun falls on a surface of one square metre in area outside the atmosphere and directly facing the Sun at a rate of about 1370 watts - about the power radiated by a reasonably sized domestic electric fire. However, few parts of the Earth's surface face the Sun directly and in any case for half the time they are pointing away from the Sun at night, so that the average energy falling on one square metre of a level surface outside the atmosphere is only one-quarter of this1 or about 342 watts. As this radiation passes through the atmosphere a small amount, about 6%, is scattered back to space by atmospheric molecules. About 10% on average is reflected back to space from the land and ocean surface. The remaining 84%, or about 288 watts per square metre on average, remains actually to heat the surface - the power used by three good-sized incandescent electric light bulbs. To balance this incoming energy, the Earth itself must radiate on average the same amount of energy back to space (Figure 2.1) in the form of thermal radiation. All objects emit this kind of radiation; if they are hot enough we can see the radiation they emit. The Sun at a temperature of about 6000 °C looks white; an electric fire at 800 °C looks red. Cooler objects emit radiation that cannot be seen by our eyes and which lies at wavelengths beyond the red end of the spectrum - infrared radiation (sometimes called longwave radiation to distinguish it from the shortwave radiation from the Sun). On a clear, starry winter's night we are very aware of the cooling effect of this kind of radiation being emitted by the Earth's surface into space - it often leads to the formation of frost. Figure 2.1 The radiation balance of planet Earth. The net incoming solar radiation is balanced on average by outgoing thermal radiation from the Earth. 3 For definition see Glossary. absorption, the more the radiation. Most of the surfaces on the Earth, including ice and snow, would appear 'black' if we could see them at infrared wavelengths; that means that they absorb nearly all the thermal radiation which falls on them instead of reflecting it. It can be calculated2 that the 288 W m-2 of incoming solar radiation received by the Earth's surface can be balanced by thermal radiation emitted by the surface at a temperature of -6 °C.3 This is over 20 °C colder than is actually the case. 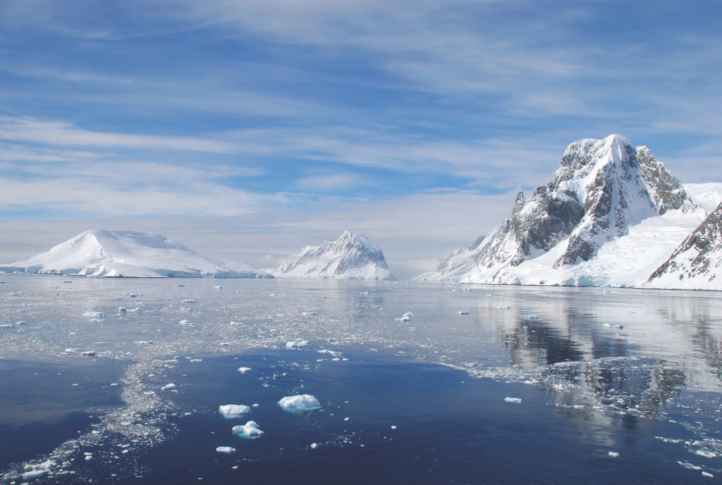 In fact, an average of temperatures measured near the surface all over the Earth - over the oceans as well as the land - averaging, too, over the whole year, comes to about 15 °C. Some factor not yet taken into account is needed to explain this difference. Figure 2.2 Schematic of the natural greenhouse effect. known as greenhouse gases (Figure 2.2). It is called 'natural' because all the atmospheric gases (apart from the chlorofluorocarbons - CFCs) were there long before human beings came on the scene. Later on I will mention the enhanced greenhouse effect: the added effect caused by the gases present in the atmosphere due to human activities such as deforestation and the burning of fossil fuels. The basic science of the greenhouse effect has been known since early in the nineteenth century (see box) when the similarity between the radiative properties of the Earth's atmosphere and of the glass in a greenhouse (Figure 2.3) was first pointed out - hence the name 'greenhouse effect'. In a greenhouse, visible radiation from the Sun passes almost unimpeded through the glass and is absorbed by the plants and the soil inside. 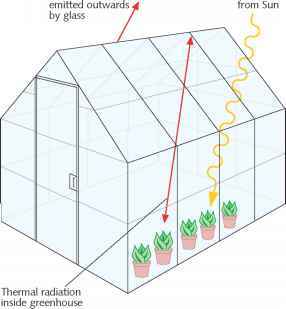 The thermal radiation that is emitted by the plants and soil is, however, absorbed by the glass that re-emits some of it back into the greenhouse. The glass thus acts as a 'radiation blanket' helping to keep the greenhouse warm. However, the transfer of radiation is only one of the ways heat is moved around in a greenhouse. A more important means of heat transfer is convection, in which less dense warm air moves upwards and more dense cold air moves downwards. A familiar example of this process is the use of convective electric heaters in the home, which heat a room by stimulating convection in it. The situation in the greenhouse is therefore more complicated than would be the case if radiation were the only process of heat transfer. Mixing and convection are also present in the atmosphere, although on a much larger scale, and in order to achieve a proper understanding of the greenhouse effect, convect-ive heat transfer processes in the atmosphere must be taken into account as well as radiative ones. Within the atmosphere itself (at least in the lowest three-quarters or so of the atmosphere up to a height of about 10 km which is called the troposphere) convection is, in fact, the dominant process for transferring heat. It acts as follows. 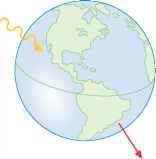 The surface of the Earth is warmed by the sunlight it absorbs. Air close to the surface is heated and rises because of its lower density. As the air rises it expands and cools - just as the air cools as it comes out of the valve of a tyre. As some air masses rise, other air masses descend, so the air is continually turning over as different movements balance each other out - a situation of convective equilibrium. Temperature in the troposphere falls with height at a rate determined by these convective processes; the fall with height (called the lapse rate) turns out on average to be about 6 °C per kilometre of height (Figure 2.4). Figure 2.3 A greenhouse has a similar effect to the atmosphere on the incoming solar radiation and the emitted thermal radiation. The warming effect of the greenhouse gases in the atmosphere was first recognised in 1827 by the French scientist Jean-Baptiste Fourier, best known for his contributions to mathematics. He also pointed out the similarity between what happens in the atmosphere and in the glass of a greenhouse, which led to the name 'greenhouse effect'. The next step was taken by a British scientist, John Tyndall, who, around 1860, measured the absorption of infrared radiation by carbon dioxide and water vapour; he also suggested that a cause of the ice ages might be a decrease in the greenhouse effect of carbon dioxide. It was a Swedish chemist, Svante Arrhenius, in 1896, who calculated the effect of an increasing concentration of greenhouse gases; he estimated that doubling the concentration of carbon dioxide would increase the global average temperature by 5 to 6 °C, an estimate not too far from our present understanding.6 Nearly 50 years later, around 1940, G. S. Callendar, working in England, was the first to calculate the warming due to the increasing carbon dioxide from the burning of fossil fuels. The first expression of concern about the climate change that might be brought about by increasing greenhouse gases was in 1957, when Roger Revelle and Hans Suess of the Scripps Institute of Oceanography in California published a paper which pointed out that in the build-up of carbon dioxide in the atmosphere, human beings are carrying out a large-scale geophysical experiment. In the same year, routine measurements of carbon dioxide were started from the observatory on Mauna Kea in Hawaii. 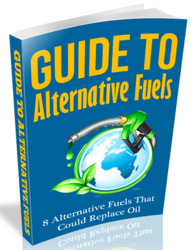 The rapidly increasing use of fossil fuels since then, together with growing interest in the environment, has led to the topic of global warming moving up the political agenda through the 1980s, and eventually to the Climate Convention signed in 1992 - of which more in later chapters. Svante August Arrhenius (19 February 1859 - 2 October 1927). atmosphere to the Sun, stars and Moon above, just as we can in the visible spectrum. At these wavelengths all the radiation originating from the Earth's surface leaves the atmosphere. At other wavelengths radiation from the surface is strongly absorbed by some of the gases present in the atmosphere, in particular by water vapour and carbon dioxide. Figure 2.4 The distribution of temperature in a convective atmosphere (red line). The green line shows how the temperature increases when the amount of carbon dioxide present in the atmosphere is increased (in the diagram the difference between the lines is exaggerated - for instance, for doubled carbon dioxide in the absence of other effects the increase in temperature is about 1.2 °C). Also shown for the two cases are the average levels from which thermal radiation leaving the atmosphere originates (about 6 km for the unperturbed atmosphere). Figure 2.5 Thermal radiation in the infrared region (the visible part of the spectrum is between about 0.4 and 0.7 |jm) emitted from the Earth's surface and atmosphere as observed over the Mediterranean Sea from a satellite instrument orbiting above the atmosphere, showing parts of the spectrum where different gases contribute to the radiation. Between the wavelengths of about 8 and 14 |m, apart from the ozone band, the atmosphere, in the absence of clouds, is substantially transparent; this is part of the spectrum called a 'window' region. Superimposed on the spectrum are curves of radiation from a black body at 7 °C, -13 °C, -33 °C and -53 °C. The units of radiance are watts per square metre per steradian per wavenumber. Ice, oceans, land surfaces and clouds all play a role in determining how much incoming solar radiation the Earth reflects back into space. reflecting foil is used to cover the surface of a vacuum flask and why it is placed above the insulation in the lofts of houses). Absorbing gases in the atmosphere absorb some of the radiation emitted by the Earth's surface and in turn emit radiation out to space. The amount of thermal radiation they emit is dependent on their temperature. Radiation is emitted out to space by these gases from levels somewhere near the top of the atmosphere - typically from between 5 and 10 km high (see Figure 2.5). Here, because of the convection processes mentioned earlier, the temperature is much colder - 30 to 50 °C or so colder - than at the surface. Because the gases are cold, they emit correspondingly less radiation. What these gases have to do, therefore, is absorb some of the radiation emitted by the Earth's surface but then to emit much less radiation out to space. They, therefore, act as a radiation blanket over the surface (note that the outer surface of a blanket is colder than inside the blanket) and help to keep it warmer than it would otherwise be (Figure 2.6). Figure 2.6 The blanketing effect of greenhouse gases.